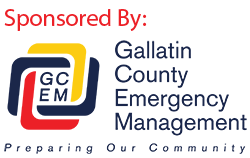 On 1/7/14 Gallatin County Sheriff’s Office dispatch received a 911 call from an individual regarding an unresponsive female. The Big Sky Fire Department responded and administered CPR. Medical personnel were unable to revive the female and she was pronounced deceased at the scene. The individual was identified as 33 year-old Maurie Patricia McLaughlin of Butte. McLaughlin’s death is being investigated by the Gallatin County Coroner’s Office.